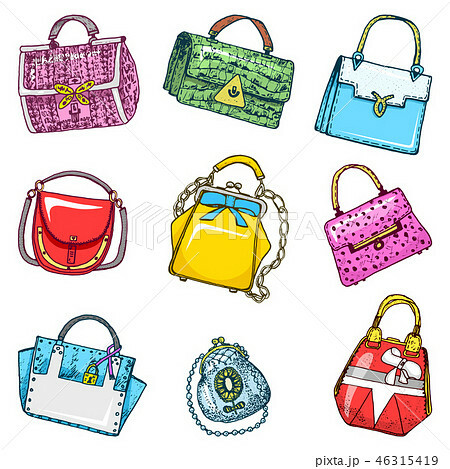 イラスト素材: Women s bags. Vintage style. Hand drawn doodle fashion accessories. Set of Patch and Pins.